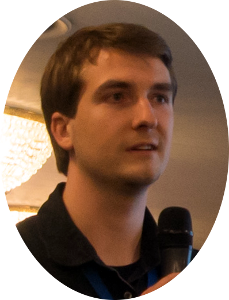 Nim is a young and exciting imperative programming language that is nearing its 1.0 release. My main motivation for using Nim is its performance / productivity ratio and the joy of programming in Nim. In this guide I’m going to show you how I start a Nim project. For this purpose we will write a small interpreter for the brainfuck language. While Nim is a practical language with many interesting features, brainfuck is the opposite: It’s impractical to write in and its features consist of 8 single-character commands. Still, brainfuck is great for us, since its extreme simplicity makes it easy to write an interpreter for it. Later we will even write a high-performance compiler that transforms brainfuck programs into Nim at compile time. We will put all of this into a nimble package and publish it online. Installing Nim is straightforward, you can follow the official instructions. Binaries for Windows are provided. On other operating systems you can run the build.sh script to compile the generated C code, which should take less than 1 minute on a modern system. Notice how quickly the library is installed (less than 1 second for me). This is another nice effect of Nim. Basically the source code of the library is just downloaded, nothing resembling a shared library is compiled. Instead the library will simply be compiled statically into our program once we use it. There is Nim editor support for most of the popular editors out there, like Emacs (nim-mode), Vim (nimrod.vim, my choice) and Sublime (NimLime). For the scope of this guide any text editor will do. That’s a bit too fast actually. The C compiler optimized away the entire for loop. Oops. ... enter to use them. description   = "A brainfuck interpreter"
Let’s add the requirement for docopt and the binary we want to create, as described in nimble’s “Creating Package” documentation. We tell git to ignore vim’s swap files, as well as nimcache directories that contain the generated C code for our project. Check it out if you’re curious how Nim compiles to C.
This is great for when the program works, but nimble build actually does a release build for us. That takes a bit longer than a debug build, and leaves out the checks which are so important during development, so nim c -r brainfuck will be a better fit for now. Feel free to execute our program quite often during development to get a feeling for how everything works. While programming Nim’s documentation comes in handy. If you don’t know where to find what yet, there’s a documentation index, in which you can search. First we import the os module, so that we can read command line arguments. paramCount() tells us about the number of command line arguments passed to the application. If we get a command line argument, we assume it’s a filename, and read it in directly with readFile paramStr(1). Otherwise we read everything from the standard input. In both cases, the result is stored in the code variable, which has been declared immutable with the let keyword. I'm entering something here and it is printed back later! We declare a few variables that we’ll need. We have to remember our current position in the code string (codePos) as well as on the tape (tapePos). Brainfuck works on an infinitely growing tape, which we represent as a seq of chars. Sequences are Nim’s dynamic length arrays, other than with newSeq they can also be initialized using var x = @[1, 2, 3]. We pass a skip parameter, initialized to false. Obviously the parameter must be of type bool then. The return type is bool as well, but we return nothing? Every result is initialized to binary 0 by default, meaning we return false. We can use the implicit result variable in every proc with a result and set result = true. Control flow can be changed by using return true to return immediately. We have to explicitly discard the returned bool value when calling run(). Otherwise the compiler complains with brainfuck.nim(16, 3) Error: value of type 'bool' has to be discarded. This is to prevent us from forgetting to handle the result. With this alone, brainfuck is one of the simplest Turing complete programming languages. If we encounter a [ we recursively call the run function itself, looping until the corresponding ] lands on a tapePos that doesn’t have \0 on the tape. And that’s it. We have a working brainfuck interpreter now. To test it, we create an examples directory containing these 3 files: helloworld.b, rot13.b, mandelbrot.b. You can enter anything here! Lbh pna ragre nalguvat urer! With the last one you will notice how slow our interpreter is. Compiling with -d:release gives a nice speedup, but still takes about 90 seconds on my machine to draw the Mandelbrot set. To achieve a great speedup, later on we will compile brainfuck to Nim instead of interpreting it. Nim’s metaprogramming capabilities are perfect for this. Note that we also added a * to the proc, which indicates that it is exported and can be accessed from outside of our module. Everything else is hidden. nim doc brainfuck builds the documentation, which you can see online in its full glory. addStmt "var tape: array[1_000_000, char]"
addStmt "var tapePos = 0"
of '+': addStmt "xinc tape[tapePos]"
of '-': addStmt "xdec tape[tapePos]"
of '>': addStmt "inc tapePos"
of '<': addStmt "dec tapePos"
of '. ': addStmt "stdout.write tape[tapePos]"
of ',': addStmt "tape[tapePos] = stdin.readChar"
The template addStmt is just there to reduce boilerplate. We could also explicitly write the same operation at each position that currently uses addStmt. (And that’s exactly what a template does!) parseStmt turns a piece of Nim code from a string into its corresponding AST, which we store in a list. Most of the code is similar to the interpreter, except we’re not executing the code now, but generating it, and adding it to a list of statements. [ and ] are more complicated: They get translated into a while loop surrounding the code inbetween. We’re cheating a bit here because we use a fixed size tape now and don’t check for under- and overflows anymore. This is mainly for the sake of simplicity. To see what this code does, the last line, namely echo result.repr prints the Nim code we generated. That’s how I knew that we would need a StmtList, for example. When you do metaprogramming in Nim, it’s generally a good idea to use dumpTree and print out the AST of the code you want to generate. ## and writes to stdout. ## code that reads from stdin and writes to stdout. 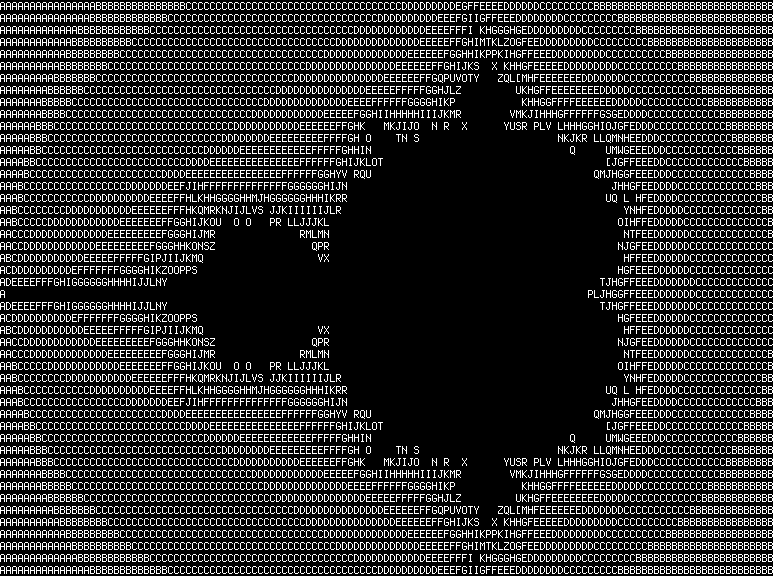 proc mandelbrot = compileFile "examples/mandelbrot.b"
By default Nim compiles its intermediate C code with GCC, but clang usually compiles faster and may even yield more efficient code. It’s always worth a try. To compile once with clang, use nim -d:release --cc:clang c brainfuck. If you want to keep compiling brainfuck.nim with clang, create a brainfuck.nim.cfg file with the content cc = clang. To change the default backend compiler, edit config/nim.cfg in Nim’s directory. If you’re not a fan of this, a simple warning[SmallLshouldNotBeUsed] = off suffices to make the compiler shut up. Another advantage of Nim is that we can use debuggers with C support, like GDB. Simply compile your program with nim c --linedir:on --debuginfo c brainfuck and gdb ./brainfuck can be used to debug your program. To improve reusability of our code, we turn to refactoring it. The main concern is that we always read from stdin and write to stdout. ## as well as a compiler of brainfuck into efficient Nim code. ##   # Prints "Hello World!" I’ve also added some module wide documentation, including example code for how our library can be used. Take a look at the resulting documentation. of '. ': addStmt "outStream.write tape[tapePos]"
of ',': addStmt "tape[tapePos] = inpStream.readCharEOF"
I did the same for compileString for convenience. You can check out the full code of brainfuck.nim on Github. There are two main ways of testing code in Nim that you will run across. For small pieces of code you can simply use asserts inside a when isMainModule block at the end of the file. This ensures that the testing code will not be executed when the module is used as a library. doAssert align("abc", 4) == " abc"
doAssert align("a", 0) == "a"
doAssert align("1232", 6) == " 1232"
doAssert align("1232", 6, '#') == "##1232"
For a bigger project the unittest module comes in handy. check interpret(helloworld, input = "") == "Hello World!\n"
check conv == "Ubj V Fgneg\n"
check interpret(rot13, conv) == "How I Start\n"
check helloworld() == "Hello World!\n"
check rot13(conv) == "How I Start\n"
Note how we have to read the examples from ../examples/ with the compiler, instead of examples/ with the interpreter. The reason for this is that the compiler’s staticRead opens the files relative to the location of our file, which resides in tests/. Great success, our library works! With this we have a fully fledged library, binary and testing framework. See the Github page again for the final result and the CircleCI page for the actual builds. This is the end of our tour through the Nim ecosystem, I hope you enjoyed it and found it as interesting as it was for me to write it. If you still want to learn more about Nim, I have recently written about what is special about Nim and what makes Nim practical, and have an extensive collection of small programs. If you’re interested in a more traditional start into Nim, the official tutorial and Nim by Example can guide you. The Nim community is very welcoming and helpful. Thanks to everyone who had suggestions and found bugs in this document, especially Flaviu Tamas, Andreas Rumpf and Dominik Picheta.